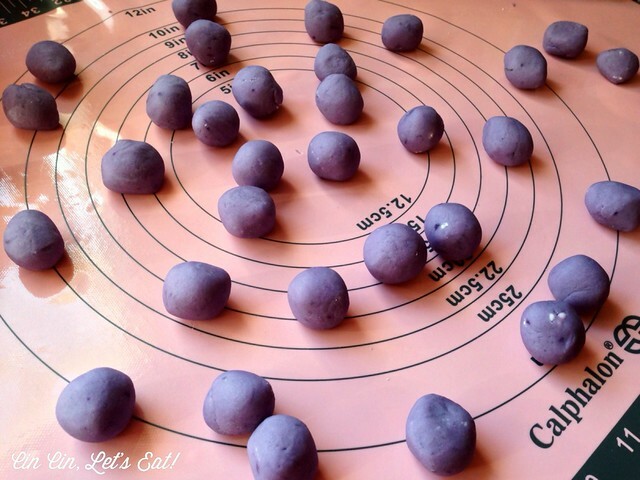 Sweet Potato Glutinous Rice Balls [recipe] – Cin Cin, Let's Eat! Happy year of the Horse! 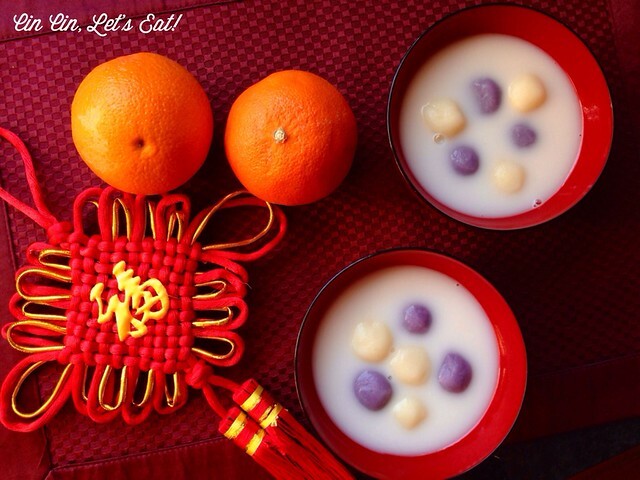 Lots of good eatin’ these next few days…I’ve been preparing several traditional dishes that my husband’s side of the family likes to enjoy for the new year, as well as some new ones, like this dessert! 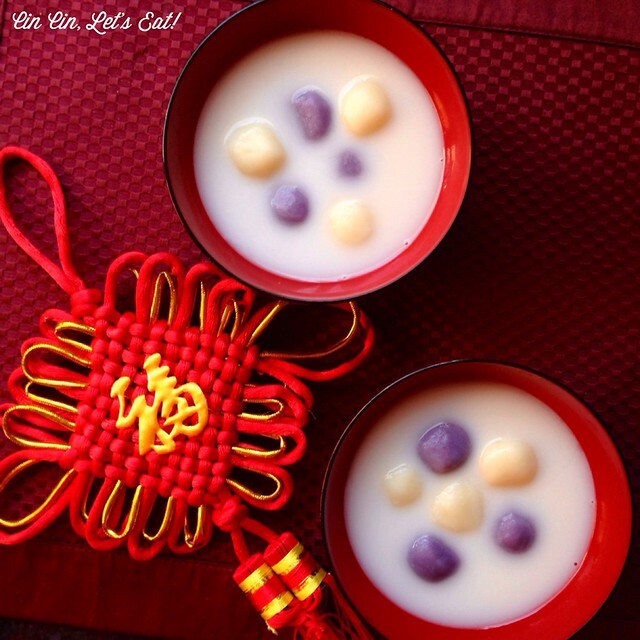 Every dish that we serve on lunar new year’s eve symbolizes family unity, prosperity, great health and fortune. 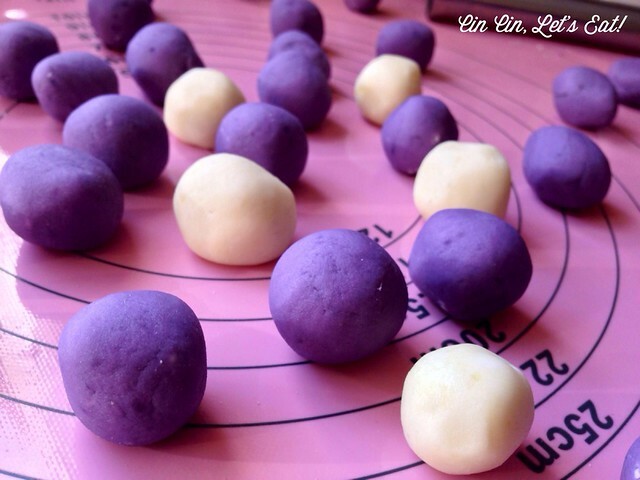 The roundness of the glutinous rice balls symbolizes unity and togetherness, so it’s a great dessert to enjoy with your family and friends. They are usually made with plain glutinous flour and served in a ginger sugar syrup/soup, the texture is soft and pillow-y with a slight chewiness. I spotted some gorgeous Okinawan sweet potatoes (they are purple!) 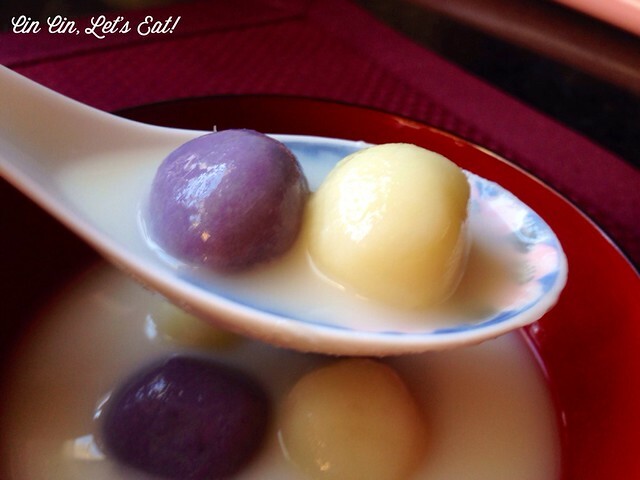 at the Chinese market and decided to incorporate them into the rice balls and serve them in a creamy coconut soup. While the coconut is probably more Southeast Asian, I don’t think anyone will be complaining about the flavors. I researched recipes from Chinese cookbooks so everything was in grams. I did my best to convert them to ounces and cups, but if you have a scale that does both ounces and grams, follow the metric recipe with grams measurements. Peel and dice the sweet potato, steam until cooked. In the mean time, bring a large pot of water to boil. Place the cooked sweet potato into a large mixing bowl, mash until smooth. Add the rice flour, cornstarch, water, and oil to the sweet potato. 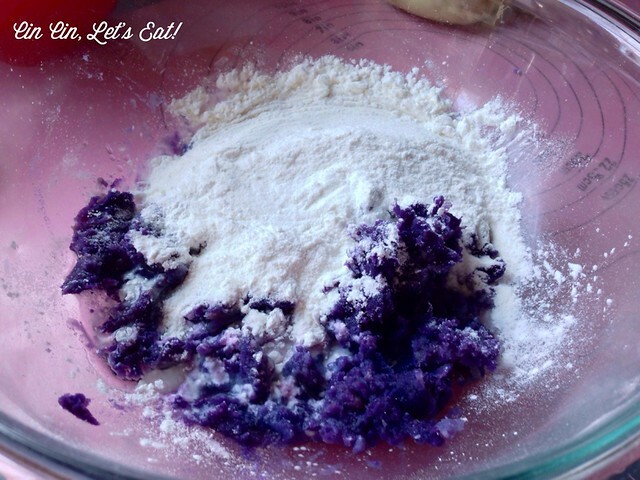 Mix and knead with your hand until a dough forms. 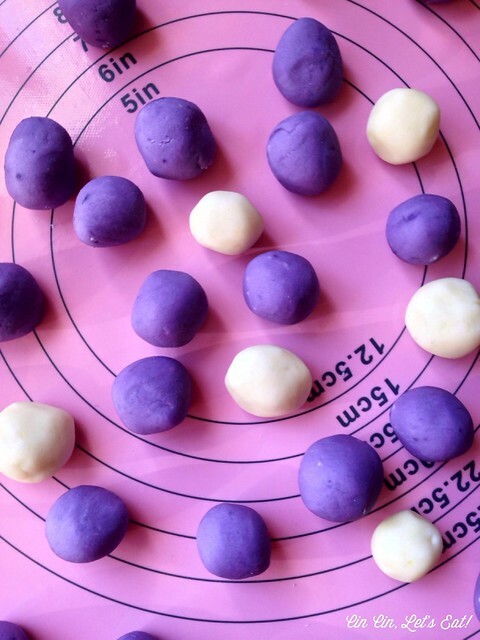 Cook the rice balls in the boiling water. Stir them occasionally to prevent sticking. The rice balls are done when they float to the top of water. 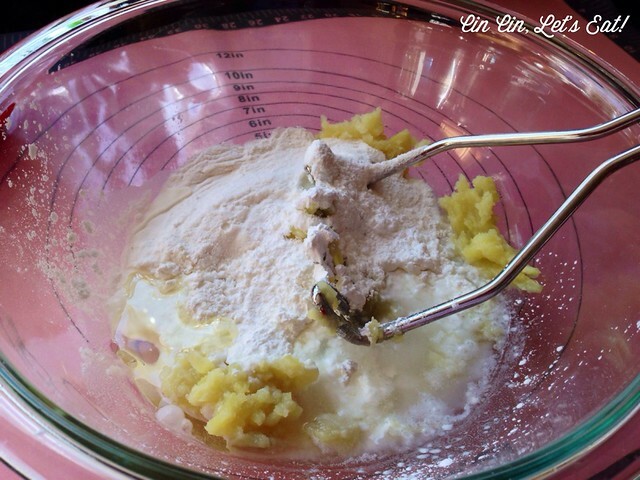 Meanwhile, add coconut milk, water, sugar, salt and bring to a simmer. Adjust the sweetness. 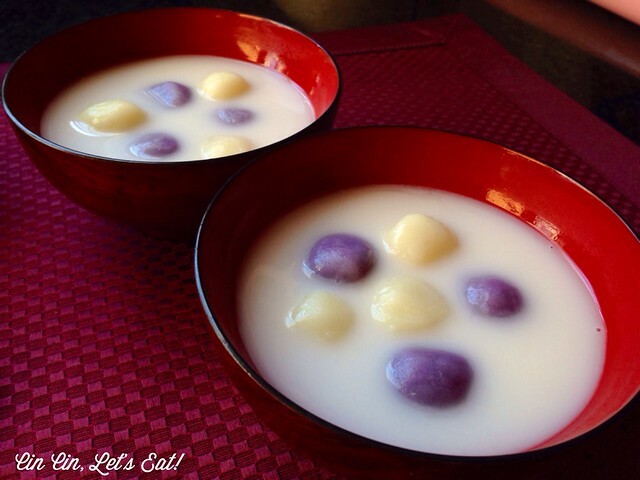 When the rice balls are done, fish them out with a slotted spoon, and transfer them into the coconut milk. Serve immediately. 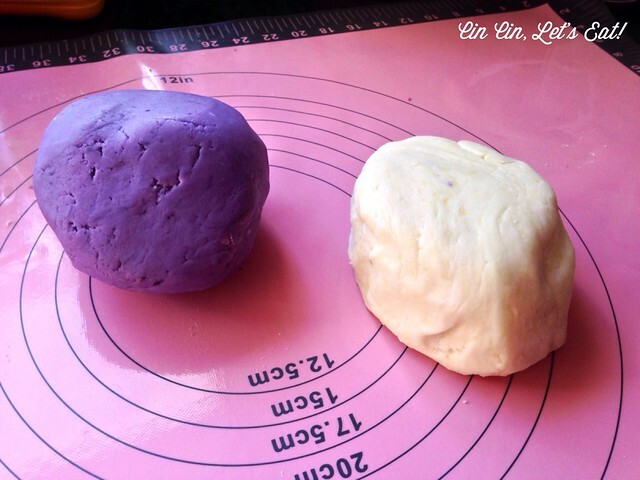 The dough with yellow sweet potato was soft and easy to work with, while the one with purple sweet potato required more water. Both had the same soft texture once cooked. 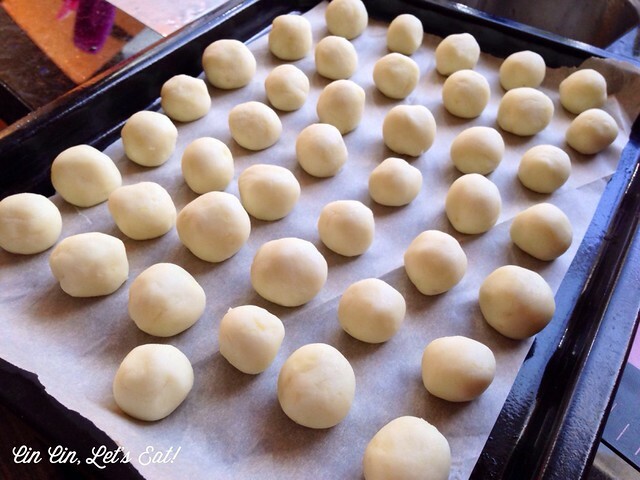 Don’t overwork the dough or it leads to tough rice balls. These looked gigantic! All in the camera’s angle I suppose. 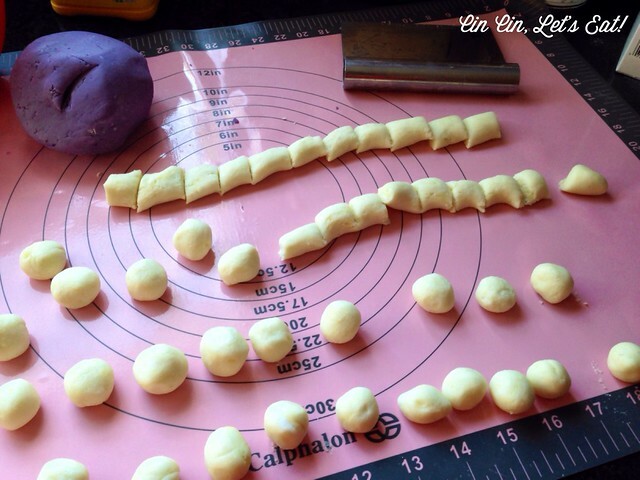 They were all about 1″ in diameter. I love a colorful kitchen! you sure you’re not free this Saturday?? hehehe :)) they look so scrumptious and pretty! Yummy !!! Did you show Nini pictures of the rice balls? 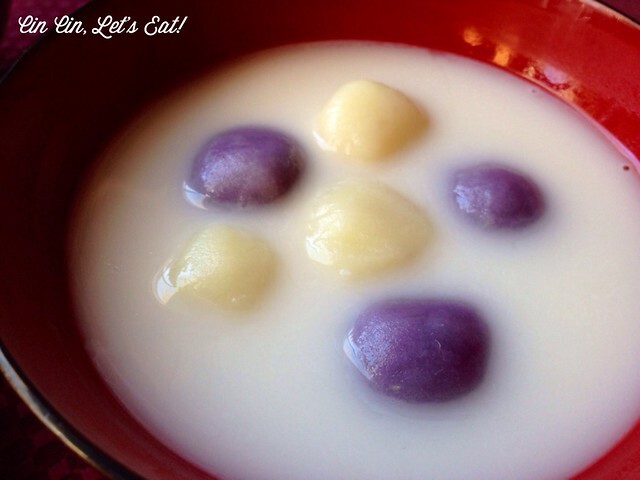 She has been talking about purple rice ball… I was wondering where she got the idea.